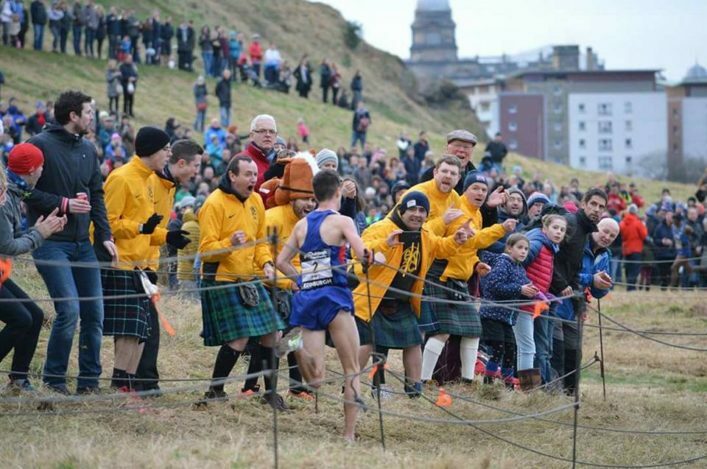 A few weeks ago, the IAAF confirmed what we knew already – Katie Dunlop‘s photo from Holyrood Park of Callum Hawkins being cheered on by the East Kilbride AC ‘Tartan Army’ and other athletics fans is an absolute cracker ! Many congratulations to Katie on winning Fan Photograph of the Year from the IAAF and thanks for helping put athletics in Scotland firmly on the map. Here’s the IAAF media release on the award . . .
A winner has been selected in the IAAF’s contest for the best photograph of the year taken by a fan photographer. Held alongside the Photograph of the Year award for professional photographers, fan photographers were invited to submit their own entries via social media. The three finalists in the contest for professional photographers formed the panel to determine the winner of the contest for fan photographers. 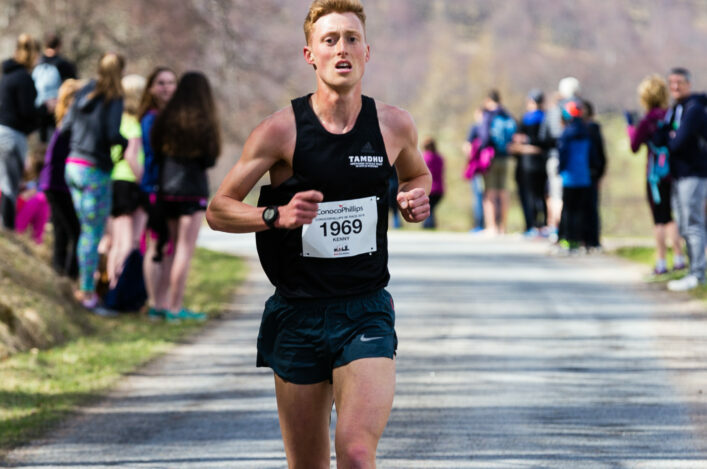 The winning entry came from Katie Dunlop, whose photograph of Callum Hawkins at the Great Edinburgh X-Country caught the eye of the panellists. ‘This is amazing, thank you so much to the IAAF and the judges; I’m a bit shocked!’ said Dunlop, who has previously represented Scotland in the hammer. Panellist Patrick Smith was impressed by the emotion and action that was captured in Dunlop’s photo. ‘Speaking on behalf of the three of us, the fan photo of the year was a pleasure to judge,’ he said. ‘It shows fans are taking the time to come up with creative visuals even when at times their access isn’t the same as the professionals. ‘Athletics is about passion, raw energy and determination’ said IAAF President Sebastian Coe. Dunlop will receive travel, accommodation and tickets for two people for the IAAF World Indoor Championships Birmingham 2018.